Alix is devastated when her girlfriend Swanee dies suddenly. Overcome with grief, she seeks solace in Swanee’s bedroom and makes a shocking discovery—text messages on Swanee’s phone that imply that Alix wasn’t Swanee’s only girlfriend. Alix begins to investigate, uncovering Swanee’s double life and her relationship with Liana, a girl who was misled just like Alix. Alix wants to hate Liana, but once Alix meets her, she realizes that Liana is the only one who understands Swanee’s betrayal, and Alix’s grief. 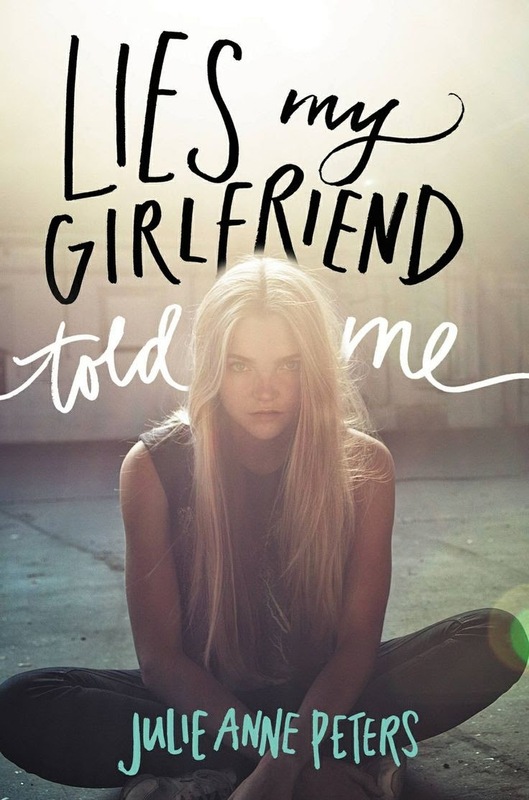 Lies My Girlfriend Told Me is a dramatic and twisting read, full of as many secrets and painful discoveries as it is of surprising connections and unexpected moments of compassion. Alix is emotionally crippled from grief at the beginning of the book, but her sensitivity to Liana’s plight and her complex feelings of betrayal and retribution lead the girls to develop a friendship, and the possibility of love opens up as they learn more about each other and confront Swanee’s lies together. Peters captures the intense highs and lows of grief and the emotion of first love in this novel, and even though Alix isn’t always particularly likable, her emotional journey from grief to healing and acknowledging that Swanee’s influence on her was not always positive is ultimately satisfying. Lies My Girlfriend Told Me is a quick and absorbing book, with just the right amount of romance thrown in. Cover Comments: This cover is actually mildly terrifying--it looks like it belongs on the cover of a horror novel. Book purchased from local indie.